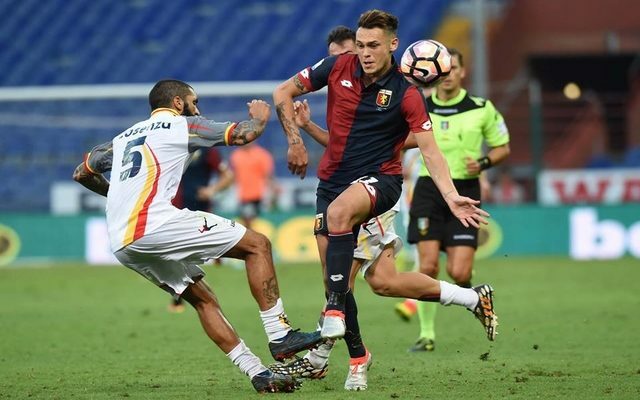 AC Milan are on the verge of completing the loan signing of Lucas Ocampos from Genoa after he arrived for a medical on Monday morning. The 22-year-old winger arrived at La Madonnina clinic and is set to complete his medical before signing his contract at Casa Milan in the afternoon. As noted by La Gazzetta dello Sport, Milan will pay €500,000 to take the Argentine on loan for the rest of the season, without an option to buy. The deal had been held up as parent club Marseille were dragging their feet over an agreement on terms of the deal, but having now secured a switch, Ocampos is looking forward to his challenge at the San Siro. “I am happy to be here and will try to give my best,” he told reporters, as noted by Gazzetta. It’s added that Genoa have an option to buy Ocampos at the end of the season, and so it will be down to the two Serie A clubs and Marseille to reach another agreement this summer over his future. As alluded to in the report, it’s an historic signing in a sense too as with the new Chinese ownership set to complete their takeover of the club on March 3, this may well be vice-president Adriano Galliani’s last signing. The 72-year-old has been with owner Silvio Berlusconi throughout their time at Milan, and they have helped build the club into a European powerhouse with an illustrious trophy-laden history. However, their tenure is set to come to an end in a month or so, and so Galliani will be hoping that his work in this transfer window helps the club achieve its objectives under Vincenzo Montella this season as he prepares to bid farewell.